Our Matt Wilkes took anÃ‚Â in-depth look a few weeks ago into mechanical changes that have contributed to Reed’s 2018 rebound. Q: Jim (Riggleman) would fall under the traditional manager category. He has big league experience, minor league experience. Will there be guys that you will look with a differentÃ‚Â criteria, a different background? A: I think so. We owe it to ourselves to try to be open-minded to the background of the candidates. I think it will depend on the individual and the qualities that they possess. Certainly, coaching experience and managing experience have value. But those arenÃ¢â‚¬â„¢t the criteria that weÃ¢â‚¬â„¢ll use to eliminate candidates. In other words, you wonÃ¢â‚¬â„¢t have to have managed to be a candidate. And Scooter and Peraza standing around as spectators while Contreras launches a drive into the CF Ivy and strolls to 1B, leaving both defensive players out of position to take the relay and get the out at 2B. My read on that play was that the throw from Hamilton missed the cutoff man (Gennett) and was far enough off line that when Peraza fielded it, he was away from 2B. I think what was supposed to happen was the throw go to Gennett who then could have thrown to 2B. Hamilton was way back at the fence, though. So the throw being off line was understandable. From the review I saw, Peraza never moved from his SS position, other than turning to watch the flight of the ball, and Scooter moved casually out to a cutoff position. They were both surprised when the ball did not clear the wall and bounded back to Hamilton. Whether Hamilton made a bad throw to Scooter and the ball just happened to fly to Peraza or Hamilton visually picked up Peraza as the cutoff man when he turned to throw without seeing Scooter waiting for the cutoff, no one covered 2B. Those are numbers that a good manager and a good front office could build on nicely during the off season and going into the 2019 season. 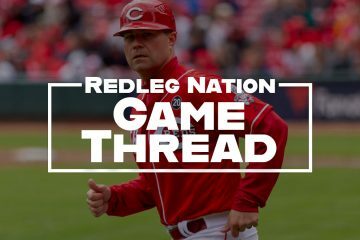 Adding Winker and Senzel to the lineup wouldn’t require an elite starting rotation to turn the Reds into a competitive team. All they need is a competent starting rotation. Agree 100%.Just guys pitching at league average gets it done if we improve offensively.We can’t get out homered at home and win. I am with you on that one. Been saying that for a year and a half. More encouraging pitching. Castillo gets it done, and the relief corps is lights out. -4 solo home runs in 3 games in Chicago. That was the run production. Glad the Reds were able to get at least one win. -The NL Central is tough, and likely to be the same next season. Bringing back Hamilton at $8M or $9M for one more year, at the expense of setting your OF for a run in starting in 2020 seems like a bad investment of $ and playing time, but you know…. Finally, some bold and decisive leadership. Gives me such great confidence. Big Bob could quickly turn into Big Bomb for any positive moves this offseason, just as he has done in the past. I commented after yesterday’s game that Reed’s breaking ball was working well. Glad my eye test confirmed by Barnhart. Reed now in the middle of the rotation battle. We’ll see what Lorenzen can do Tuesday. Castillo is in, but no one else is a lead pipe cinch yet. Good win with good pitching. 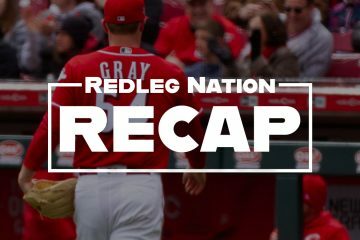 Clearly Castillo and DeSclafani are in for 2019, as will be Bailey if the owner wants him to continue to start. A couple more starts like yesterday could give Reed a real boost, as well. Yeah, I wanted to include DeSclafani, but decided it was best to wait and see if he could make it through a spring training first. So, how has the pitching sorting gone in 2018? About where they were at this time last year. Very little settled and more ??????? than are on the Riddler’s outfit. Still have the starting rotation to sort through, 2B now to sort out, and now they have an entire OF that needs sorted out too. At least the Reds will have that international free agent, Who, to play all over the field next year. Who is the starting pitcher today. Who plays 2B today. Who is in CF. Who is in RF. Who is in LF. More on this subject over at Red Reporter this afternoon. Wick has much the same sentiments. What I saw of Reed in that game was hitters looking uncomfortable in the box and taking uncomfortable swings. I don’t think they were seeing the ball well. Castillo pitched well, even if not his typical style of game. Seemed like the strike zone was inconsistent throughout the game. Ervin with some nice plays in LF. Joey getting on base three times. HeÃ¢â‚¬â„¢s looking like heÃ¢â‚¬â„¢s getting back to normal at the plate. Ervin has proven he belongs on this team on opening day in 2019.I believe Castillo is around 45 starts now in the big leagues and he does have the stuff. Agree about Ervin. He has played himself into an OF position. The Reds need him or Scheb at CF with Billy (if he is here) as the specialist. The Lorenzen iso hijacked my train of thought though. When he starts I feel as though the hashtag Realmuscules should trend. 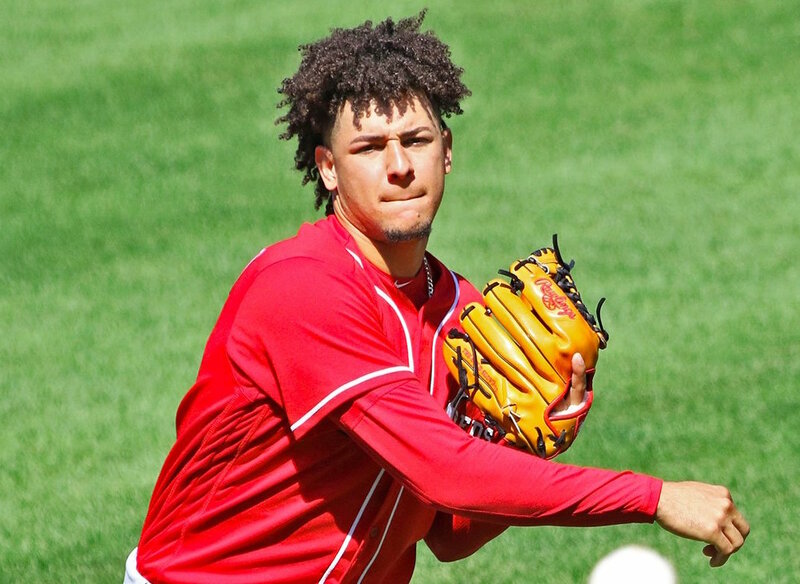 He is the biggest guy the Reds have had since Laynce Nix and there has never been less of a question (perhaps since the Big Klu) about how he earned that physique. Maybe, just maybe, real muscles are more reliable than the Ã¢â‚¬ËœcreamÃ¢â‚¬â„¢ and Ã¢â‚¬ËœclearÃ¢â‚¬â„¢ variety!? I remember that Nix guy, strong as a bull, great potential but career derailed for shoulder injury. With latest plan to play Senzel in OF, and assuming Gennett remains in Cincy, IÃ¢â‚¬â„¢m not sure whatÃ¢â‚¬â„¢s worth tendering Hamilton after having Winker, Ervin and Schebler in the alredy in OF mix, unless Schebler is traded in the off-season. HamltonÃ¢â‚¬â„¢s added value is very small for the Reds, more likely as a late-inning sub or pinch runner for a big market team. I hate to mention this but I think it’s going to be Winker whom the Reds trade for pitching. Very Reds’ front-office thing to do. I don’t think so. DW in an August 1 trade deadline interview said JW and SS are the corner outfielders in 2019. He also said the focus would be a deep obp centered dynamic line up 1-8. Winker’s obp was .402. He walked as much as he K’d which is unreal. Thrilled to hear that I’m now qualified for the Reds’ managerial position! If you can throw down the bunt sign, the job is yours! I hope we’re surprised and Edvardo Perez gets the Red’s manager job. A smart, young baseball guy, and a reminder of one of Reds fans all time favorites, Tony Perez. maybe he’d get more than 44 games…. A shocker 25 years ago but, of course, Marge was the owner then. Reed and Castillo are definatly bright spots on the weekend. Especially Reed who K’d 10 against a team trying to stay out front and out of the WC. Same for Castillo, a strong start against a good lineup. Perhaps toomany BB’s there but he managed to pitch around them, which has to be done from time-to-time.